Is there a place for “simple” document automation? Document automation has been around for a while. Yet it is not widely adopted, despite the benefits it can bring – from template management and efficient document production, to supporting “self-service” contracting and seamless integration with other parts of the contracting lifecycle. I have had very positive experiences with two “full-feature” document automation systems, Exari DocGen and Thomson Reuters Contract Express. But these systems are complex. Even a technically minded lawyer can’t just “run with it”, without some training and a reasonable chunk of time to spare. For many organisations, the upfront investment required – in licenses, user training and IT infrastructure – is just too high. So, is there an alternative? As the larger players shift their focus towards AI or broader contract lifecycle management needs, several smaller technology providers are starting to emerge. 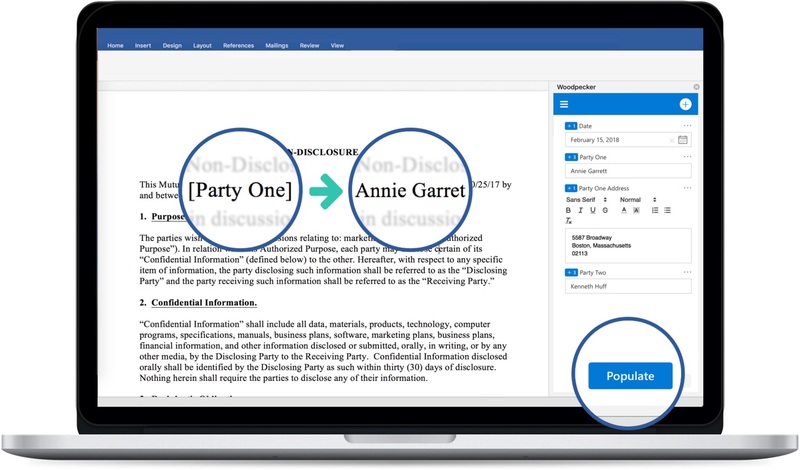 I recently had the opportunity to trial Woodpecker, which bills itself as “empowering law firms to standardize and automate their legal documents without ever leaving Word”. It’s this last bit that caught my attention – the promise of automation at speed, if you like, no training required. To transform your document into an automated template, you create individual “fields”, each of which represents a variable element within the document (for example, the parties to an agreement, its effective date, and the inclusion (or not) of specified blocks of text). Once created, the field is inserted into the document by highlighting the existing text that the field represents. After creating the required fields, the document is saved as a template. To generate a new document using the template, simply complete the fields (in the side bar), click “populate” and the document is automatically populated with the new data. If this sounds simple, it’s because it is. 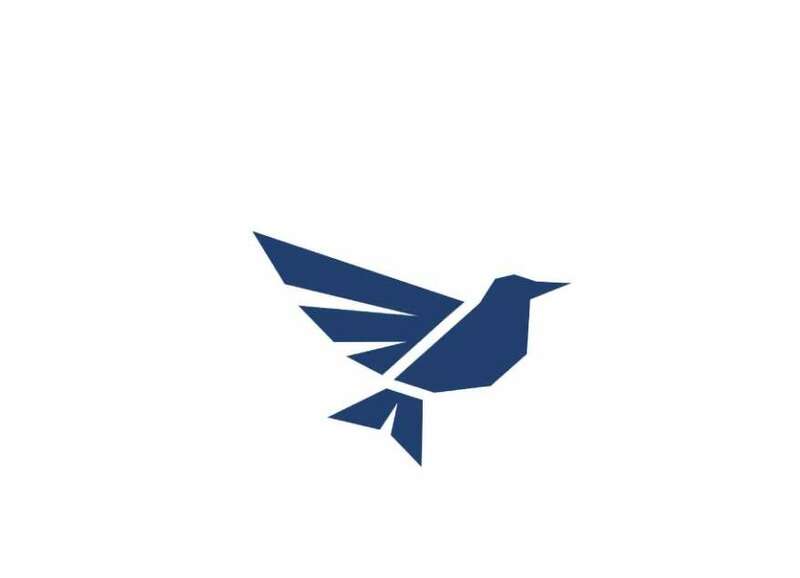 Woodpecker is particularly good at automating the generation of simple documents, where the emphasis is on what I call “filling in the blanks” (and anyone familiar with this process will appreciate how time-consuming it is to do it manually). However, the tool can also handle more complex logic, including conditions (where the value of one field is conditional upon the value attributed to another field), formulas (to perform calculations), and macros (where the same value is used in multiple different fields). Continuing with the efficiency theme, fields can also be populated in bulk within a single document or group of documents, and once created, can be easily re-used in a new document. There are – as with all systems – some nuances in how it works. I struggled initially to get my conditions working properly, but with some help from Woodpecker’s online tutorials and chat function, I was quickly back on track. Compared to the full-featured systems, Woodpecker does have some limitations. It doesn’t cope well with automated clause numbering, so if your created fields require the addition or deletion of whole clauses or items in a list, you will need to update the clause numbering afterwards. Punctuation errors such as double spacing or duplicate full stops are also a frustration, but as with all systems, attention to detail is key to minimising this. On balance though, this is certainly a tool I would use. Document automation can be as simple or complex as you make it. But for many use cases, simple works just fine, and Woodpecker delivers most of the benefits (efficiency, quality control, ease of use) without a lot of the pain. Aside from the ease of use, there is another significant benefit in working with a small, growing technology provider: the ability for customers to directly influence the product roadmap and the user experience for features that are developed specifically for them. Alex Melehy of Woodpecker says “having our users be a part of our product development process is a core focus for the company". That is a refreshing approach compared to the fixed road maps and inflexibility of larger providers.